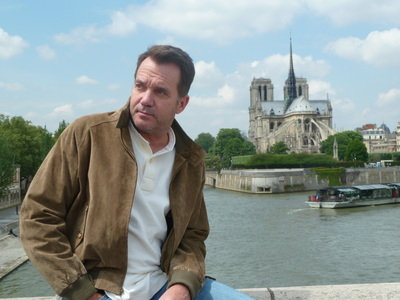 2013 Dordogne - James W. Lett, Ph.D. 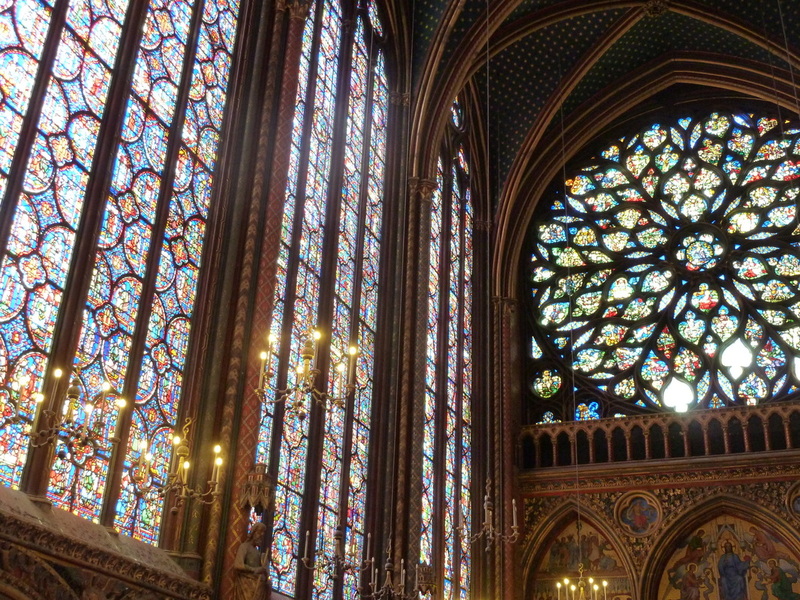 These photographs and notes are from our two-week trip to Paris and Dordogne in May. Although it was unseasonably cool the entire time, the weather was a welcome respite from the heat and humidity of early summer in Florida. We spent a week in this château in the small village of St. Germain-des-Prés in the northeastern part of Dordogne. There were only four of us, so we had about eight times as much room as we needed, but it was fun to explore the ancient building. The interior has been modernized (to include the addition of a handful of bathrooms), but the central heating wasn't operative, and it was very cool (and generally rainy) the whole week; as a result, we spent much of the time in the large kitchen sitting around the fireplace. This is the view of the back of our château, looking downhill from the village cemetery. It was a relatively new graveyard--most of the burials were less than 200 years old. 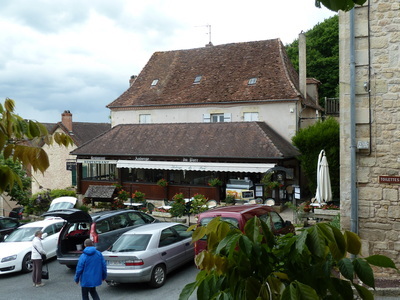 The village itself was very small, but lovely; if it just had a bit more in the way of commerce (a boulangerie, say, and perhaps a boucherie) it would be a perfect place to settle. We had an excellent lunch in this auberge in the hilltop town of Hautefort (those are other tourists in the foreground, not us). 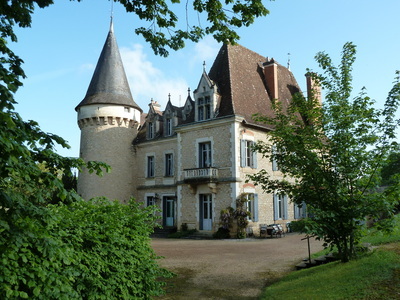 There's a large and impressive chateau on the crest of the rise for which the village was named. 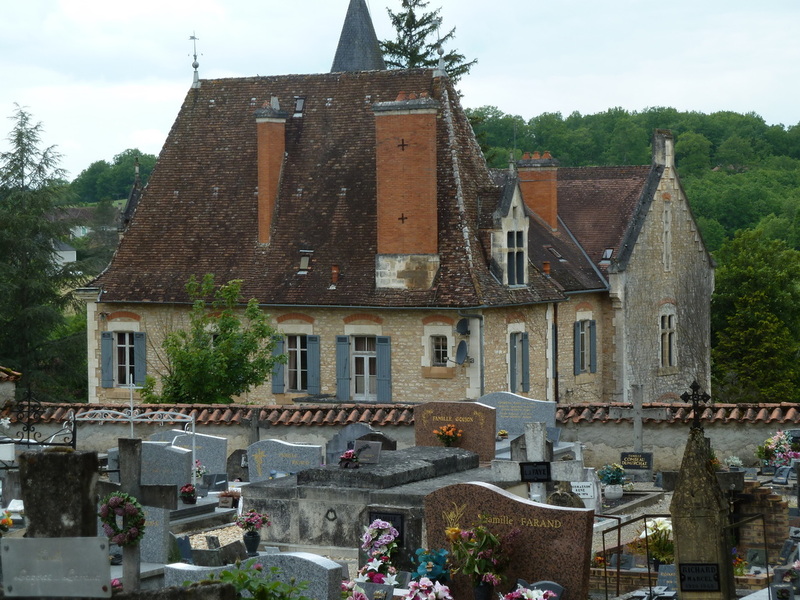 Hautefort is very charming; we imagine we could happily live there. We spent two nights in Paris before taking the TGV to Dordogne. 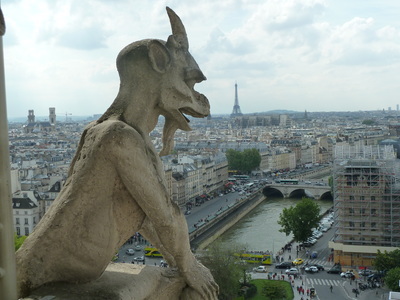 The immediately recognizable vantage point from which this photograph was taken is the top of Notre Dame's south bell tower, looking west. We'd visited the cathedral several times on earlier trips, but this was the first time we'd climbed the towers (on previous occasions, they were either closed for renovation or the line to get in was too forbidding). The scaffolding and the cranes that are visible in the background are characteristic of Paris--although the city retains much of its ancient charm, it's constantly changing (from the top of the cathedral you can see the vast suburbs that encircle the city without, to my mind, improving it). This picture was taken on the bridge leading to the Île St. Louis, one of my favorite parts of Paris (the Île St. Louis is just out of sight to the right, at the end of the bridge--in the background you can see the Île de la Cité, dominated, of course, by Notre Dame). The streets of Paris are noticeably less crowded in May than they are in July, but there were still plenty of people in town. We stayed this year in a hotel on the Left Bank that served as the British Embassy in the 18th century, within easy walking distance of the heart of the city. 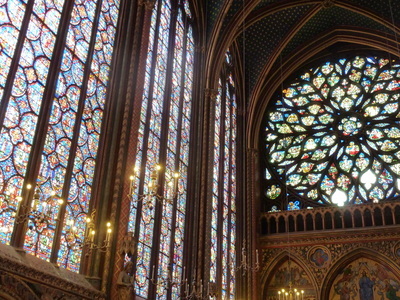 Located on the Île de la Cité not far from Notre Dame, Sainte-Chapelle was built in 1248 by Louis IX to house various holy relics that supposedly included the crown of thorns (presumably they tried but failed to acquire one of Aphrodite's three golden apples). It's probably not important what inspired or motivated the architects, however--the result is a magnificent and enduring monument to human creativity and ingenuity. The National Museum of the Middle Ages, formerly known as the Cluny, is our favorite museum in Paris (there's additional information about it in the notes for our France 2005 trip). The museum's collection features many fabulous tapestries, including the famous Lady with the Unicorn series. Many of the tapestries in the museum depict familiar elements of Christian iconography (most commonly the sadomasochistic torture scene that provides the foundation of Christian mythology). 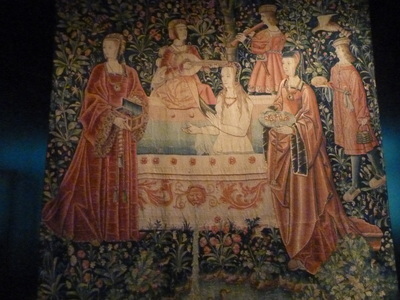 This tapestry, in welcome contrast, depicts an aristocratic lady enjoying the sensual pleasures of her bath, surrounded by commodious attendants; I'll take lavish hedonism over slavish superstition any day of the week.